A flashlight, compass, and survival kit in one? 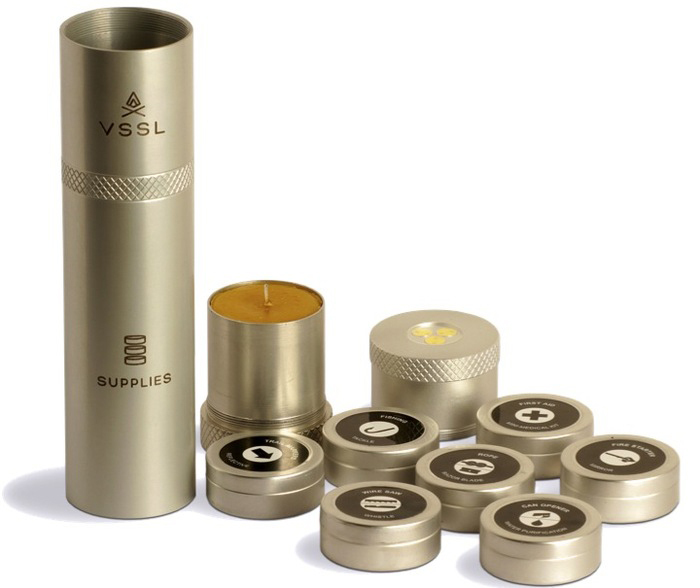 While this might not be the lightest option (18 ounces filled) for a simple survival kit, the VSSL (pronounced “Vessel”) packs a lot of utility into a rugged, waterproof container. 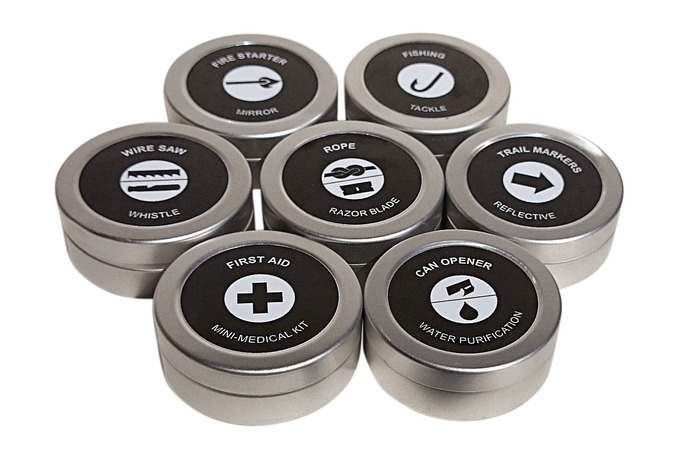 It carries survival-oriented tools in small tins and comes with a compass on top. The LED flashlight on one end runs for 20 hours, or up to 40 hours in a flashing S.O.S. mode. The compass is visible on the outside of the opposite end. Modeled after the old-school waterproof match tube, the VSSL is a cool invention that looks practical for those who don’t mind the size and weight of an 8” by 2” flashlight. It is available in four models: Supplies ($89), Shelter ($50), Zombie ($59) and First Aid ($59), or empty ($40) to fill with your own gear. The packed modules come pre-loaded with gear such as fire-starters, fishing hooks, rope, razor blades, and a mini first aid kit. The tins can be purchased to replenish the VSSL after use and will be available at VSSLgear.com once the company’s fundraiser is complete. VSSL just reached full funding on Kickstarter, where it is still available at discounted pricing. If the idea of a flashlight and compass packed with survival goodies sounds useful, check them out. With almost $30,000 raised and lots of time remaining in the fundraiser, you certainly aren’t alone. Check out page 2 for VSSL gear lists for each model.